Our vision is that people in this region living with an Autistic Spectrum Disorder (ASD) are enabled to fulfil their potential within their community and society. "To ensure people with autism enjoy the same rights, freedoms, responsibilities and quality of life as we do. 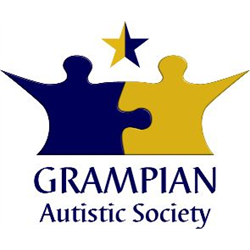 Grampian Autistic Society is recruiting for a Senior Autism Practitioner who will work across three main identified functions, training and development, assessment and advice and promoting employability. Grampian Autistic Society (GAS) operates in the North East of Scotland providing services for people who have a diagnosis of an Autism Spectrum Condition (ASC). We are the only local charity which focuses specifically on people with this diagnosis. GAS is therefore looking to recruit someone who has experience working with autism and an ability to pass on knowledge, understanding and experience to support the development of others. The successful candidate will receive all necessary training and be supported to achieve relevant qualifications to continually develop awareness and understanding of ASCs.